Tennyson is a riverside suburb located approximately 7km from the CBD. Easily accessible by train and bus to the city and located in close proximity to Brisbane’s International tennis centre and the Rocklea Markets. This charming renovated post war character home on a large 810sqm 2 lot block surrounded by a white picket fence is waiting for a new family to move in and enjoy. features plenty of storage, new stove, cooktop and tiled splashbacks. There is an easy flow out to the open plan living and dining, making entertaining and a relaxed lifestyle easy. The lounge / dining space features wooden doors opening to a large covered courtyard – perfect for a summer BBQ and enjoying time with family and friends. 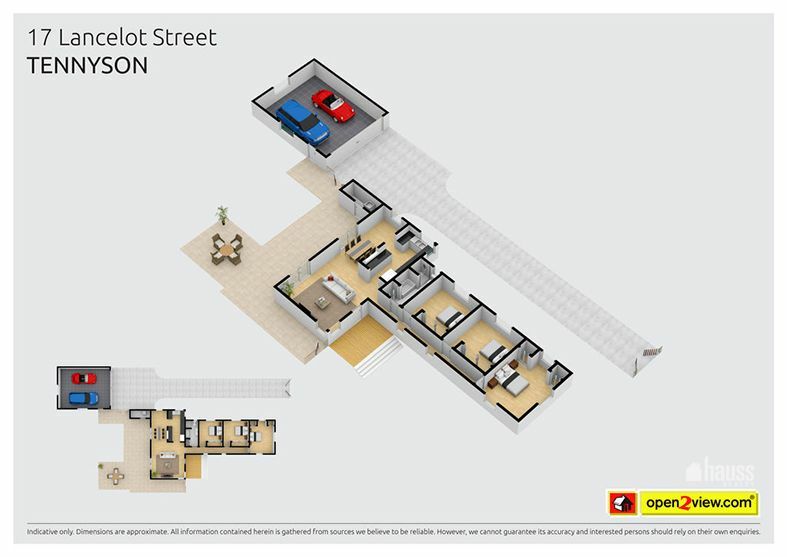 The home also features a double lock up garage, with room for 2 cars. With plenty of space to add a pool, trampoline and even a cricket pitch there are plenty of options – leave as is and enjoy the space, subdivide and enjoy less maintenance or extend the current home further. The choice is yours. Centrally located in walking distance to the Ken Fletcher parklands, Brisbane Golf Course and approximately 5km to Indooroopilly Shopping centre there are plenty of entertainment options to suit any lifestyle. Upon completion of Yeerongpilly Green there will be further opportunity to enjoy luxury shopping precincts, cafes, restaurants and an enviable lifestyle. For more information please call Charles Wiggett 0424 754 113.